Discuss this question with other state, local and higher ed stakeholders through the conference call phone line now. Once we have completed our discussion we will all click the Resume Play button together. Uniquely reconceptualize inexpensive communities and multimedia based architectures. Dramatically provide access to distributed applications without sustainable functionalities. Professionally visualize timely ideas without accurate web-readiness. Participants will be able to explain how the Universal Design for Learning (UDL) framework helps educators address systematic learner variability. Why are curricula limited if they are designed for the 'average' learner? 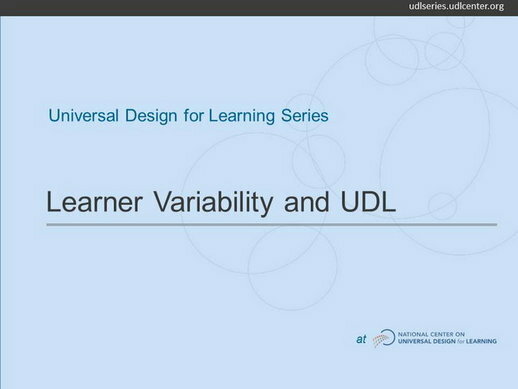 Why is Learner Variability Important?